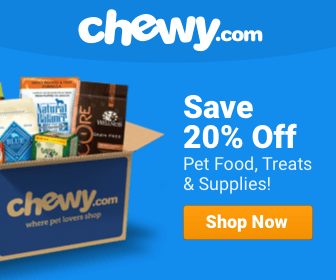 What’s the Best Dog Food for Miniature Schnauzers? Miniature Schnauzers are probably some of the cutest dogs around, with their regal chin, adorable cheek floof, and boundless energy on their little tiny legs. Whether you have one as a lapdog or just a fun accessory, you love your best friend like nothing else in the world. With that love, though, comes responsibility; giving your dog the best nutrition means finding the best dog food for miniature Schnauzers. Let’s take a look at what’s out there! Being little dogs, most miniature Schnauzers will end up weighing about 12-20 pounds (male) or 12-18 pounds (female). To avoid overfeeding and obesity, make sure your dog gets the right amount of food each day. If, for instance, your miniature Schnauzer is about 16 pounds heavy, and is just as active as an average dog of his breed, you’ll want to feed your Schnauzer 487 kcal/day. For especially vibrant pups who love to play a little more than usual, try upping their food intake to 775 kcal/day. As your Schnauzer gets a little older and slows down a bit, you can lower their food to 399 kcal/day. Keep these levels in mind, and you’ll have a good idea of how much to feed your miniature Schnauzer without them ceasing to become ‘miniature’! 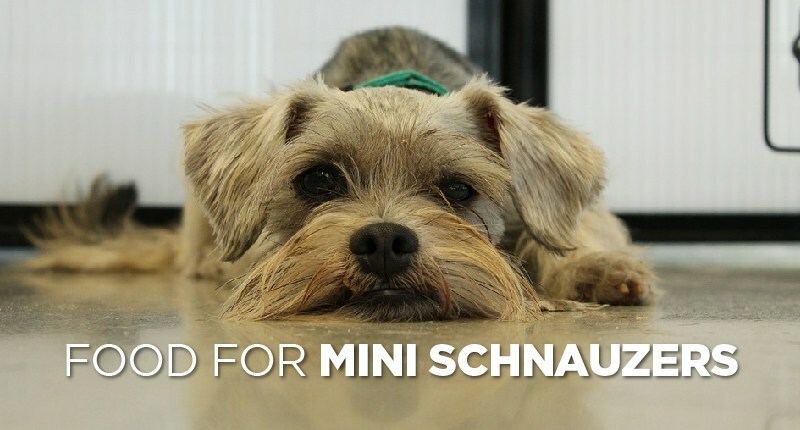 This short but incredibly informative video from Royal Canin, a British dog food company, breaks down some of the important things you need to know about caring for a miniature Schnauzer. Most crucial is their breakdown of urinary tract infections, and how a proper diet can help to stave those off. In order for your miniature Schnauzer to grow up nice and healthy, they’re going to need high quality animal protein, which will give them strong bones and muscles. Dogs are naturally dependent on animal protein as the primary source of nutrition, which makes it crucial that lean meat be the primary ingredient in their food. When finding the best dog food for your miniature Schnauzers, scan the ingredients list for the top five ingredients. If there are more grains there than meats, it probably has more plant than animal protein, which you don’t want. Miniature Schnauzers should have enough healthy fats in their diet to keep their fluffy coats healthy and shiny. While we tend to balk at the idea of fat being a good thing, keep in mind that fish oils and healthy fats promote heart health and can aid in liver and digestive health. Make sure your Schnauzer’s kibble has more than a little fish meat and essential oils to give them a nice balance in nutrition. This will help them stave off all number of heart and skin conditions, which Schnauzers in particular are prone to have. Despite what you may think, carbs are also important for Schnauzers and other kinds of dogs – complex carbohydrates, that is. 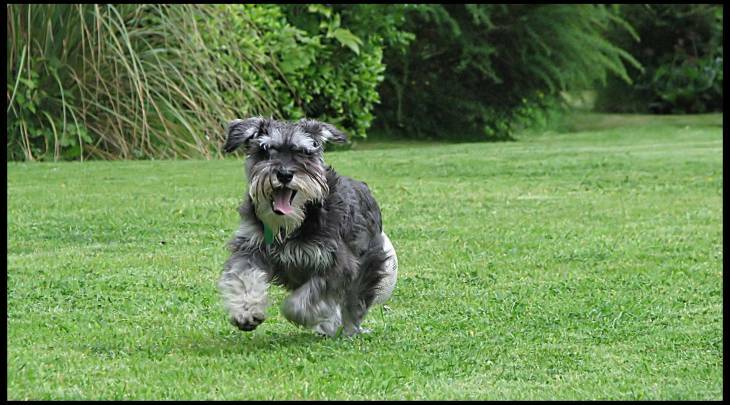 Your miniature Schnauzer needs them much more than anticipated, as they need them for the essential energy they’ll need to do their endless, fitful playing and running. While lean meat is important, complex carbs are vital to helping your dog maintain a healthy weight. Either way, carbs are important for digestion and caloric fuel, so make sure they have a nice balance in any dog food for miniature Schnauzers you might consider getting. No matter what breed of dog you have, be it miniature Schnauzer or something else, the most crucial aspect of finding the right dog food for them is to find a high-quality feed that is high-protein, no-grain and has a decent ration of carbs, fats and proteins. Eye diseases. Small dogs like the miniature Schnauzer will often fall prey to eye diseases like cataracts and progressive retinal atrophy. While these things are genetic, maintaining a healthy diet will allow your dog’s body to function as ideally as possible and possibly reduce the risks. Digestive diseases. Miniature Schnauzers can sometimes fall victim to pancreatitis and hemorrhagic gastroenteritis. Make sure your feed is high in protein and carbs, and is all-natural to lower the chances of this happening. Comedo Syndrome. This condition is unique to Schnauzers, where black crusty bumps appear along the dog’s back, which can also lead to hair loss. Keep your dog’s diet rich in healthy fats to keep their coat shiny and healthy. Urinary infections. Miniature Schnauzers in particular are prone to these, especially urinary stones (male Schnauzers get it the worst). Keep plenty of water close by and within easy access of your Schnauzer. Despite their status as adorable little heck-raisers, miniature Schnauzers need to be taken care of quite carefully when dealing with their nutritional needs. Since they’re such small dogs, you must take care not to overfeed them – don’t feed them more than a cup of good dry dog food per day, split into a morning and evening meal. Yes, yes, I know that it’s hard when your miniature Schnauzer looks up at you with his big, wet eyes and begs for more food; you just can’t help but want to give him a treat or an extra ½ cup of food. However, you have to keep in mind that your dog is a relentless eater, and that means you need to exert discipline. The worst thing you can do for your dog’s health is to let it get overweight from overeating. With Schnauzers, it’s a little harder than usual because of those cute little whiskers and this particular breed’s stubborn insistence when begging for food – nonetheless, never give in and never surrender. Your dog’s health may depend on it! Blue Buffalo is definitely one of the best all-purpose high-quality dog foods out there; it’s affordable, it’s healthy, and best of all, it’s good for your miniature Schnauzer. 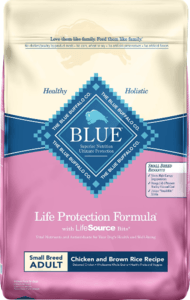 Blue Buffalo’s got a formula befitting any dog, but we thought we’d take a look at the Blue Buffalo Life Protection Small Breed﻿ formula to see if that will work for our tiny little Schnauzer friends. Like we said before, it’s always helpful to check out the first five ingredients – deboned chicken, chicken meal, turkey meal, peas and tapioca starch. The first three are fantastic sources of lean protein, and peas are also great for giving your Schnauzer complex carbohydrates and the fiber it needs to aid in digestion. 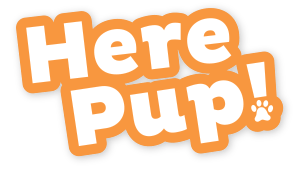 Tapioca starch is primarily there to bind everything together and form it into the kibble, but it’s a gluten-free carbohydrate extract that is all natural and perfectly healthy for your Schnauzer to eat. There are lots of great dog foods for miniature Schnauzers on the market – this is just the one we thought would work for the unique requirements of such a small dog. Still, you can always work with your veterinarian, and make up your own mind with your own research, before deciding on a diet plan for your miniature Schnauzer. If you pick the right food, you’ll be sure to give your happy little pup the life and health it deserves!